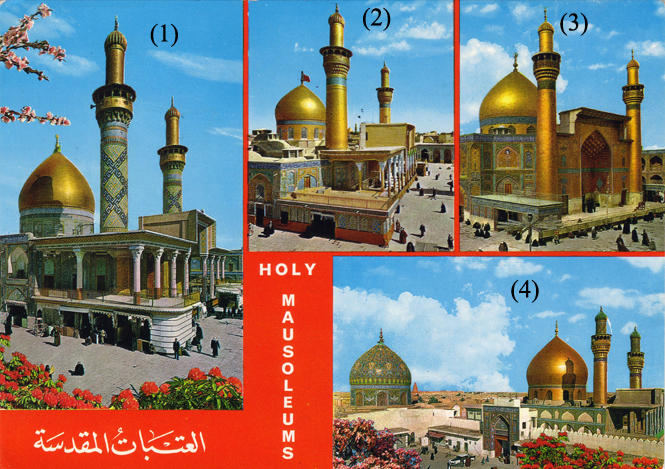 Click here to see Holy Sites. 15th of Sha'ban 1440 Hijra [Sunday, April 21, 2019]. Al-Imam Al-Mehdi (peace be upon him), whom is the 12th Infallible Imam of the Shi'a and the 14th Infallible of Ahlul Bait (peace be upon them), is still alive, but in occultation. Al-Mehdi (AS) has gone in occultation in the basement of his house in Samarra' - Iraq in the year 329 AH (939 AD) and has not been seen since by strangers while practicing daily duties of imamat from behind the scene. Innumerable traditions (Ahadith) in this context , quoted right from the Holy Prophet Muhammad (SAWA), from the glowing contents of many books of Shi`ite scholars ( `ulama' ) existed . 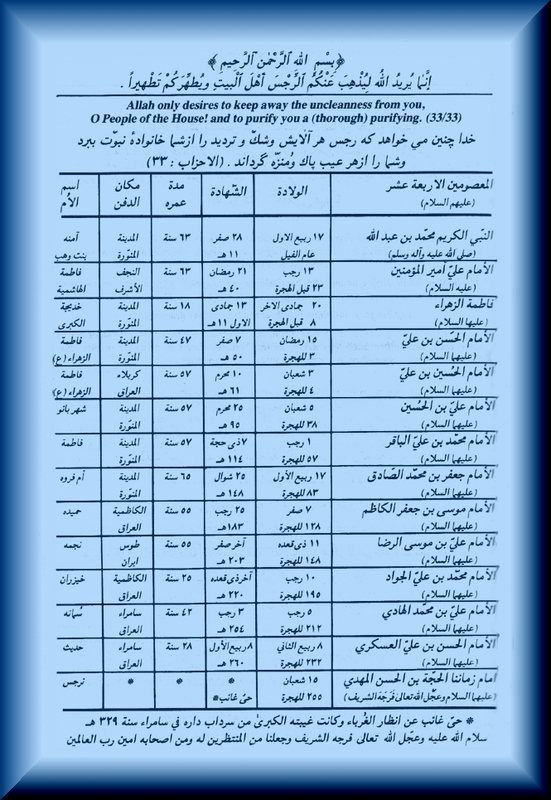 Many Sunni scholars have accumulated these traditions in complete volumes also, such as : Al-Bayan fi Akhbar Sahibi'z-Zaman by Al-Hafiz Muhammad ibn Yusuf Ash-Shafi`i and as well as As-Sahih of Abu Dawud and As-Sunan of Ibn Majah. All of the above books record the traditions (Ahadith) bearing evidence of the coming of this Holy Imam. 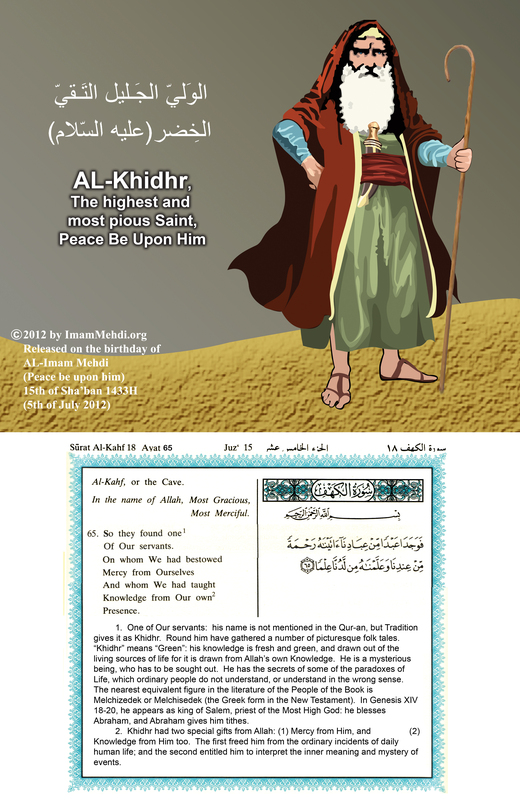 The promised Al-Mehdi , who is usually mentioned by his title of Imamu 'l-`Asr ( the Imam of the Period ) and Sahibu 'z-Zaman ( the Lord of the Age ), is the son of the Eleventh Infallible Imam . His name is the same as that of the Holy Prophet . He was born in Samarra', Iraq in 255 AH (869 AD) and until 260 AH (874 AD) when his father was martyred, lived under his father's care and tutelage. He was hidden from public view and only a few of the elite among the Shi`a were able to meet him . 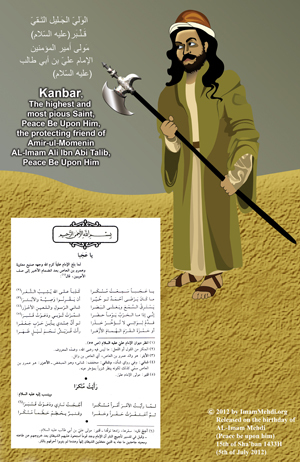 After the martyrdom of his father he became Imam and by Divine Command went into occultation ( Al-Ghaybah ) , Thereafter, he appeared only to his four (4) deputies ( Nuwwabs ) and even then only in exceptional circumstances . The Imam chose as a special deputy for a time `Uthman ibn Sa'id Al-`Amri (Abu Amru) , one of the companions of his father and grandfather who was his confident and trusted friend . Through his deputy the Imam would answer the demands and questions of the Shi`a . 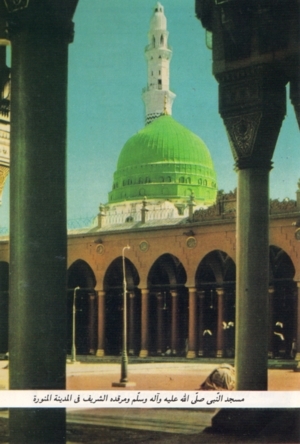 After `Uthman ibn Sa`id , his son Muhammad ibn `Uthman Al-`Amri (Abu Ja'far) was appointed as the 2nd deputy of the Imam. After the death of the 2nd deputy, Al-Husain ibn Ruh ibn abi Bahr An-Nawbakhti (Abu 'l-Qasim) was chosen by Al-Imam Al-Mehdi as his 3rd deputy. Al-Husain bin Ruh served about 22 years as deputy. 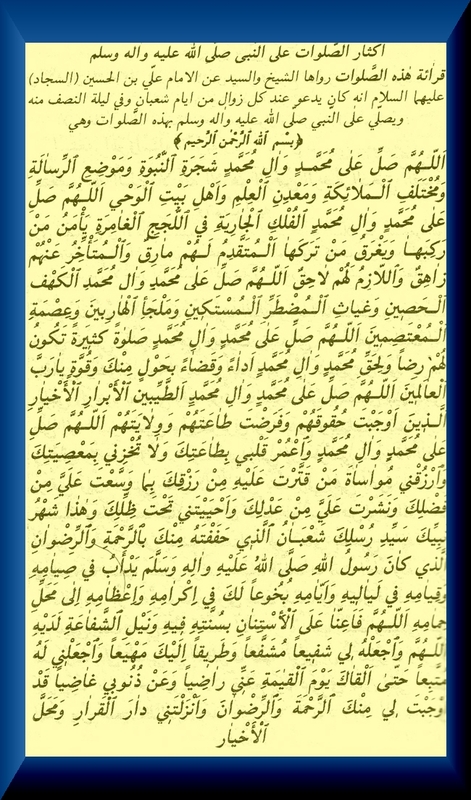 After his death 'Ali ibn Muhammad As-Samari (Abu 'l-Hasan) was appointed for this important task . He was the 4th and last deputy of the Imam (AS). 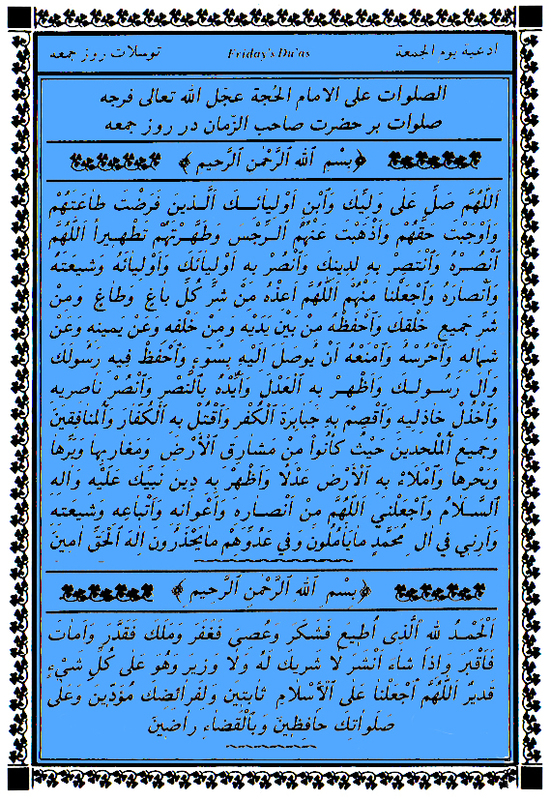 A few days before the death of this last deputy, As-Samari, in 329 AH (939 AD) an order was issued by the Imam stating that in six days `Ali ibn Muhammad As-Samari would die . Henceforth the special deputation of the Imam would come to an end and the major occultation ( Al-Ghaybatu 'l-kubra ) would begin and would continue until the day Allah (God) grants permission to the Imam to manifest himself . 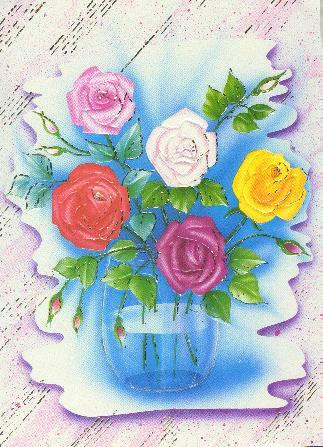 Birth : In Samarra , Iraq, on Friday , 15th Sha`ban 255 AH . He is still living and will appear before the end of the world . Minor Occultation : 8th Rabi`u 'l-Awwal 260 AH . Major Occultation : 10th Shawwal 329 AH .